On January 20, 2015, a Division Bench of the Bombay High Court delivered a 53-page decision in Tata Sons Limited & Anr. v. The State of Maharashtra & Anr. which assumes significance for IP licensing and taxation. The broad issue before the Court was the applicability of the Maharashtra Sales Tax on the Transfer of Right to use any Goods for any Purpose Act, 1985 to the TATA Brand Equity and Business Promotion Agreement entered into by Tata Sons with its group companies. As the name of the Agreement suggests, its object was to protect, enforce and enhance the image and goodwill of the TATA name and its brand equity. In a nutshell, the Agreement permitted the use of the TATA brand name and its trademarks by the Tata Group of companies, subject to compliance with quality control conditions laid down in the Agreement by Tata Sons. The specific issue before the Court was whether the nature of the transaction between Tata Sons and its group companies in relation to the permitted use of the brand amounted to “transfer of right to use any goods for any purpose” within the meaning of the Act. According to the tax authorities of the State of Maharashtra, Tata Sons was liable to pay sales tax on the Agreement since the transaction resulted in transfer of right in the Tata trademark (and therefore amounted to sale within the meaning of the Act), while Tata Sons contended that there was no transfer of right under the Agreement. Apart from relying on several decisions of the Maharashtra Sales Tax Tribunal in support of its contention, Tata Sons also relied upon the landmark decision of the Supreme Court in BSNL v. Union of India (2006) (links here and here) where the essential ingredients of a transfer of right to use goods was spelt out by the Supremes. It was Tata Sons’ contention that the issues considered and the conclusions arrived at by the Supreme Court in the BSNL case squarely applied to its Agreement with its group companies. Applying the above ingredients to its Agreement, Tata Sons contended that it did not envisage any kind of transfer of right as required by the Act for levying of sales tax. 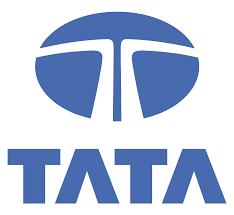 The limited purpose of the Agreement, according to Tata Sons, was to permit its group companies to use the Tata mark which was a mere license to use the mark, and not transfer of right to use the mark. It was also submitted that the Agreement was not a composite one for sale and service, consequently no part of the Agreement lent itself to the levying of sales tax. Critically, given that non-exclusive rights to use the mark were created in favour of 113 group companies, there was no factual or legal basis to arrive at the conclusion that “transfer" of right to use the mark was either provided by or was a consequence of the Agreement. Despite these compelling arguments by Tata Sons, surprisingly the Bombay High Court went on to hold that the transaction provided for in the Agreement amounted to transfer of right to use goods. Although it cannot be disputed that goods under the Act include goods of incorporeal or intangible character such as patents and trademarks, the central issue is whether the Agreement resulted in a “transfer” of right to use the Tata mark. This issue, in my humble opinion, was not addressed convincingly by the Court. A perusal of Paras 40 and 41 of the judgment reveals that the Court’s reasoning was based on the fallacious assumption that since the Act did not expressly require “exclusive” transfer, multiple non-exclusive rights of use being created in favour of third parties by Tata Sons too would amount to “transfer” within the meaning of the Act. What is astounding is that the Court acknowledged that in the facts of the case, the right to use the Tata mark was not granted to the group companies to the exclusion of Tata Sons, and yet concluded that there was a “transfer” of right to use. The clear impression that one gets based on a reading of the judgment is that the Court was swayed entirely by the fact that (a) trademarks constituted goods and (b) that Tata Sons had created rights in favour of third parties to use the mark. The requirement of “transfer”, which is a condition precedent for application of the Act to a transaction, appears to have been given a complete go by. In the process, the Court has blurred a critical distinction between a trademark license and the transfer of right to use a trademark. Simply put, if an agreement between a trademark owner and a third party which permits non-exclusive use of the trademark by such third party in return for payment of royalty is not a license to use the trademark, then what constitutes a license so as to not attract the levying of sales tax? In my opinion, the purpose of the legal fiction created by the Act to deem transfer of right to use goods as “sale” is to tax transfer of divisible rights (even if such transfer is for a limited period) despite the title in the goods remaining with the transferor. Further, this fiction helps to prevent mischief in instances where a transaction, which for all intents and purposes is a sale of a right (if not the good itself), is sought to be couched as a license. That said, I dont believe the concept of what constitutes transfer is altered i.e. the result of the transaction must be to the exclusion of the owner and all third parties for it to acquire the status of a transfer. Although the Act may not use the word “exclusive”, in my opinion, exclusivity for howsoever limited a period is inherent in transfer of any kind. To delve deeper into the issue, in the next few posts I will look into what constitutes "transfer" in general and for the specific purpose of taxation. Fortunately, the Bombay High Court’s decision is not final since Tata Sons has preferred an appeal before the Supreme Court. It would be interesting to see how the Supreme Courts treats IP licenses. "Very interesting, and a problem that tax authorities are grappling with around the world. In my view, a trade mark licence is clearly not a transfer of a right in any meaningful sense: it is the grant of a contractual permission to do what would otherwise be an infringement. Indeed, the trade mark itself is only a negative right; as has been seen in the disputes about tobacco advertising using trade marks in Australia, there is no right to use a registered trade mark, even by its proprietor. However, the wording of the tax legislation dealt with by the court seems to me to catch the licensing transaction once one accepts that a trade mark is a good (and the Act was amended to make that clear) and (as the court did) that a licence gives to the licensee a right to use the mark, which to a non-specialist IP lawyer it does seem to." " ..here's the link to my latest post on the issue of "transfer" where I discuss the Supreme Court's views on what constitutes transfer. Even the Supreme Court has struck a distinction between a mere license to use and transfer of right to use. Unfortunately, the Bombay HC has not appreciated this distinction although the SC's decision was cited by Tata Sons. That being said, I agree that an exclusive license which creates an interest in favour of the licensee to the exclusion of the licensor falls within the catch all provision of "transfer of right to use goods". I have said so in the post as well. However, a non-exclusive license which has been granted to multiple parties (and does not exclude the right owner) may not rise up to the level of transfer of right. It is for this reason that I think the decision stands a good chance of being reversed." "I agree with your comments on the meaning of “transfer”. The problem is that, once one accepts that intangibles can be ‘goods’ for the purpose of a sales tax, it seems difficult to a non-IP specialist to envisage giving a third party a right to do something without a “transfer” (in the broad sense of ‘something moving from A to B’, even though A may still have it too) being involved in some way." "I understand where you are coming from Sir. Perhaps there's a greater need for clarity on the nature of creation of interest of any kind in incorporeal property in order for non-specialists to appreciate the distinction between interest creation in tangible goods and intangibles." Tata Sons contended there had been no transfer of right to use, as no legal right had been transferred to one person to the exclusion of the transferor.